The name says it all! Max-Flo! 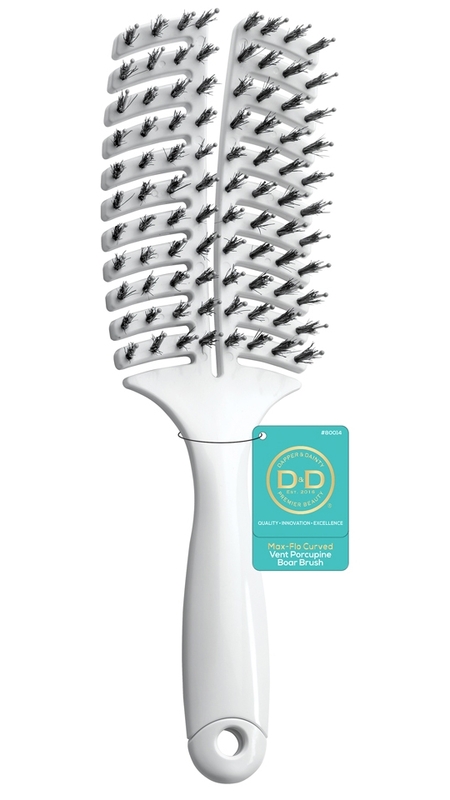 These brushes are no joke when it comes to drying your hair. Their unique design accelerates the drying process by allowing air to circulate directly to the roots. 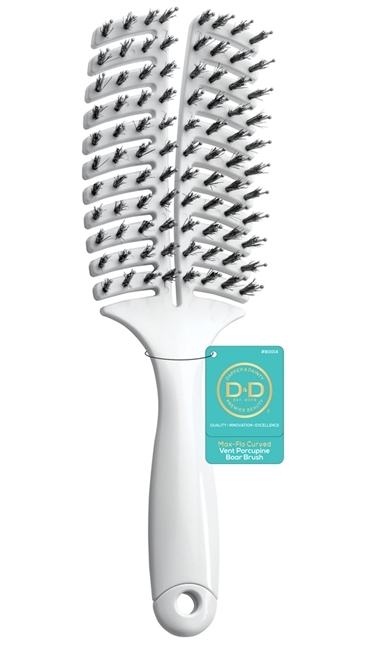 Blends of varying bristles including ionic 100% boar hair help to bring natural oils from the scalp outward to naturally condition hair. A built-in convenient storage is incorporated at the base of the handle to hide hair pins.